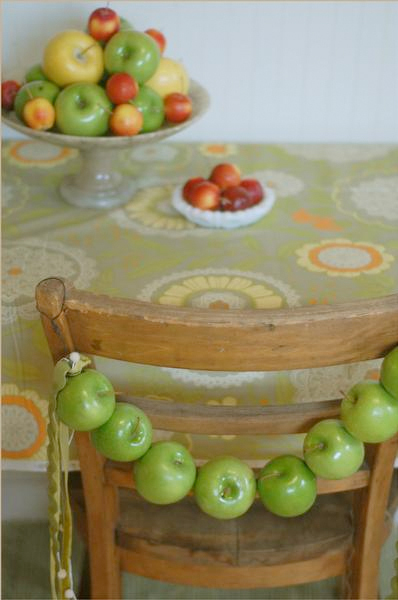 I have been looking for unique ideas for Teacher Appreciation week and this apple garland (with red apples instead of green, f course) would be a fun little swag to decorate the teacher's desk. A ten pound bag of apples and some 19 gauge wire and you have yourself a unique and relatively inexpensive decoration. You can check out the tutorial over at Intimate Weddings. Love this garland- great idea for Teachers chair! What a cute idea!! I love it! I'm going to have to keep that in mind for when I'm a teacher. :) Thanks for sharing! Too bad green isn't one of my sister's wedding colors because I love this idea. I'd like a green apple right now . . . with some caramel.